Some local folks will get a chance to pitch their business ideas to some casting folks this spring, for a chance to pitch their ideas to the cast of ABC’s Shark Tank as part of the show’s upcoming season. According to a post on the show’s casting director’s Instagram page this week, the show will host a casting call in Bentonville, Arkansas on Saturday, April 13. “Our first time heading to #arkansas,” reads the post by Supervising Casting Producer Mindy Zemrak. 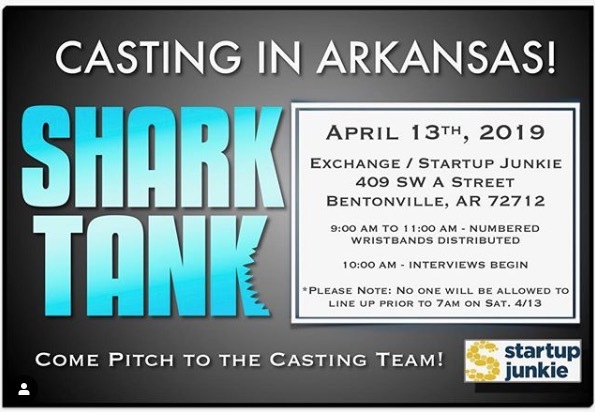 “Come pitch to the @sharktankabc #castingteam on April 13th! The casting call will take place at Exchange, located at 409 SW A Street in Bentonville. 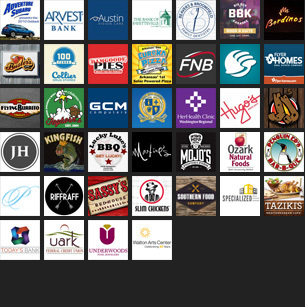 Fayetteville-based incubator Startup Junkie is also involved in the event. Numbered wristbands to would-be-cast members will be distributed outside the building at 9 a.m., and interviews with casting associates will begin at 10 a.m. Folks will be allowed to line up outside the building beginning at 7 a.m. Attendees are also asked to fill out and bring this application to the event. For those who aren’t familiar, Shark Tank is a show that originally aired in 2009, featuring entrepreneurs pitching their businesses to a panel of investors or “sharks”, who decide whether to invest in their entrepreneurs’ ideas. Investor cast members on the show over the years have included people like Kevin O’Leary, Barbara Corcoran, Daymond John, Robert Herjavec, Kevin Harrington, Mark Cuban, and others. ABC recently announced the show has been renewed for an 11th season in 2019-2020.